When you work in wet or oily conditions and you don't use sufficient protection on your hands, this can limit your ability to handle objects. The Blackrock 543130 GripMax Gloves with Dextra Fit Technology have been designed with a double coating of nitrile on the palm to provide excellent wet and dry grip even in oily conditions. These two coatings also protect against liquid penetration for improved user comfort. 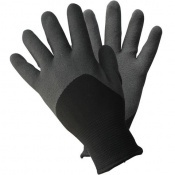 The product code for these Blackrock GripMax Gloves is 543130. Red and black in colour, they help alert others about your presence and hand placement. 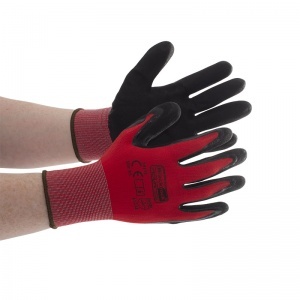 The Blackrock 543130 Gloves have been tested to EN 388, which is the European standard that gauges its resistance to a range of physical threats. Please consult the table below for the results. These Blackrock GripMax Gloves have been designed in four different sizes, allowing you to get a more tailored fit. Please refer to the table below to find out which size will fit you best.